The perfect alternative festive pud? There’s something about Christmas that can bring out a militant side in the most relaxed of people. Those who at other times of the year will happily go with the flow suddenly become sticklers for tradition, asserting their right to enjoy the season’s festivities exactly as they’re used to them. This differs from family to family, but the same Christmas conversation seems to take place on an annual basis amongst my friends; we list the dishes we always eat, the smoked salmon starters or lack thereof, the bubbly opened at breakfast, turkeys basted, potatoes roasted and enforced enjoyment (or not) of the dreaded brussels sprout. While dishes might vary from household to household (turkey is traditional, others go for goose, etc) there seems to be one constant; people stick to what they know at Christmas. With a few exciting elements thrown in perhaps, but generally speaking, if Mum’s mince pies or Granny’s incredible gravy don’t feature, there’s going to be trouble. It might be a different story in your family, but for me it feels like there’s a slight disconnect between these Christmas traditions and the festive alternatives that are consistently fed to us at this time of year. Open the latest foodie magazine or turn on your TV and your favourite chefs will be suggesting contemporary takes on the Christmas classics; Asian spiced potatoes, raw sliced sprouts or even the astonishing turkey wellington I saw in a recent Jamie Oliver magazine (I have to admit it looked pretty good). They all sound interesting, but does anyone actually end up making them on Christmas Day? Maybe a lot of you do. Maybe it’s just my family that has to have their potatoes roasted just right, two different types of stuffing, sticky little sausages snuggled around the turkey and presents opened after lunch (ok, that last bit might well be just my family. My Granny instigated this ridiculous rule that we had to wait until after the Queen’s speech to open our presents and somehow it’s stuck. As soon as I’m in charge of Christmas, some things are going to change round here… ). Having said that, our approach to the sweet stuff is a different story. Christmas pudding isn’t hugely popular in the little loaf household, so every year we experiment with a different dessert. This almost always has a chocolate theme – you can’t go wrong with a Yule log or dense slice of chocolate biscuit cake, studded with jewel-like cherries and scented with cinnamon – and is usually accompanied by a plate of my Mum’s mince pies and a dollop of my Dad’s lethal alternative to brandy butter, laced with rum and guaranteed to perk up the quietest of guests. It’s strange that we don’t mess around with the mince pies really – everyone else seems to. Browse the supermarket aisles and you’ll find a wide variety of pies, from traditional shortcrust to flavoured or puff pastry, different fillings and various varieties of lids. This year Heston Blumenthal has created a pine-scented pie for Waitrose more akin to an Eccles cake (I’m not convinced, the pine sugar smells a bit like air freshener to me) while his Fat Duck Chef Ashley Palmer Watts has developed a deep fried pie for charity bake-off The Mince Pie Project (this sounds dangerously delicious). Look online and you’ll find numerous recipes involving mincemeat from tarts to truffles, terrines, palmiers and even ravioli, while mince pie ice cream is another alternative slowly creeping into mainstream consciousness. The recipe below is something I created with fellow foodie Miss South of the fabulous North South Food blog. We’d planned in a day of dessert making back in the summer but, due to various unforeseen commitments, didn’t actually get around to getting together until last weekend. Our original idea of ice cream felt a little cold and naked now that winter has descended, so we’ve tucked it inside a crisp, short pastry and blanketed it with a cloud of chewy, toasted meringue. Jamie Oliver makes a Baked Alaska Mince Pie which is somewhat similar, but rather than topping an existing pie, this recipe incorporates the filling into the ice cream, making it that little bit lighter and brighter after a large festive meal. It’s pretty easy to make but does involve a fair few stages, so make sure you read the instructions thoroughly before embarking on this recipe. If you’re stuck for time you could also make life easier by substituting shop bought pastry and ice cream, although – as is usually the case – the better quality ingredients you start out with, the better the final result. Sift the flour, sugar and salt into a large bowl. Rub the butter through the flour mixture til it vanishes, working quickly and with light fingers. Stir in the egg yolks and water, then mix everything together to form a soft, smooth paste. Pat into a flat block, wrap in clingfilm and chill for 30 minutes minimum, ideally overnight. Roll out the pastry to about 3mm thick. Cut out rounds using a cookie cutter or a water glass, put each round in the hollow of your pie tin and press gently into place. Prick the bottom with a fork then pop in the freezer for 15 minutes (this will help stop the pastry shrinking when baked). Preheat the oven to 200 degrees C. Remove your pie cases from the freezer, line with baking parchment and a few baking beans and bake for about 20 minutes until just starting to colour. Remove from the oven, remove the baking parchment and beans, then cook for a further 10 – 15 minutes until beautifully golden and crisp. Remove from the oven and allow to cool completely. Cover a tray with greaseproof paper and pop in the freezer to chill. Once chilled, remove from the freezer and scoop small balls of ice cream onto the tray, spaced about 2cm apart, with an ice cream scoop or melon baller. Return to the freezer until frozen solid, at least two hours. Whisk the egg whites and cream of tartar until soft peaks form. Whisk in the sugar, a little at a time, then turn the speed up and continue to whisk at high speed for around 5 minutes until the meringue is thick and glossy (you can test this by holding the bowl over your head. If the meringue stays put, it’s ready. If not…well, you’ll need to whisk it a bit longer. If it’s not already on the floor…). Once your meringue is ready, transfer it into a piping bag fitted with a large star nozzle. Remove your frozen ice cream balls from the freezer. Pop one into each pastry case, making sure it fits snugly. Carefully pipe your meringue over the ice cream – you can swirl in a circle like on a cupcake, or stud in lots of little stars, as you can see in the photos. A large surface area is good as it allows you to get a good colour on your meringue. This is the stage that you’ll understand why you bothered to freeze the ice cream balls ahead of time – don’t allow long enough and you could end up with a puddle of creamy mess. Once you’ve piped all your pies, pop in the freezer for 30 mins. Put the grill on. After 30 mins, remove the pies from the freezer and pop under the grill for 2-4 minutes, keeping a close eye on them as the meringue can suddenly turn. We finished ours off with a blow torch to add extra colour, but do be careful at this stage – one over zealous attempt resulted in the whole pie going up like a bonfire and some very toasty meringue! Serve straight away for the perfect contrast of short, crisp pastry, fruity spiced ice cream and soft, toasted meringue. After making these pies last weekend, I realised you could make an amazing alternative – Christmas tree baked alaskas. Simply add a little green food colouring to your meringue and pipe little branches around your ice cream pie. Finish with silver balls as baubles and a dusting of glittery sugar. You can also use any kind of ice cream in these little pies to keep them going all year round. Chocolate would be delicious with the clementine pastry, or try a different pastry flavouring – vanilla, chocolate, almond or nut all work well. I’ve entered this post into the Festive Favourites blog hop hosted by 84th & 3rd. To see all the other fabulous festive recipes, click here. These were such fun to make! And they were my first ever meringues! I’m sorry we missed the Christmas tree trick in the end. That would have been amazing. I even had silver balls to go with the glitter! If you can’t go kitsch at Christmas, when can you? I ate the remaining pastry cases with dollops of quincemeat later that night after a few Christmas drinks and the clementine really came through. Such a nice touch! ooerrr, you rebel you! They look fantastic, soooo impressive. i love meringue – it adds incredibly to the looks of anything! and i want a one of your baked alaskas right now! 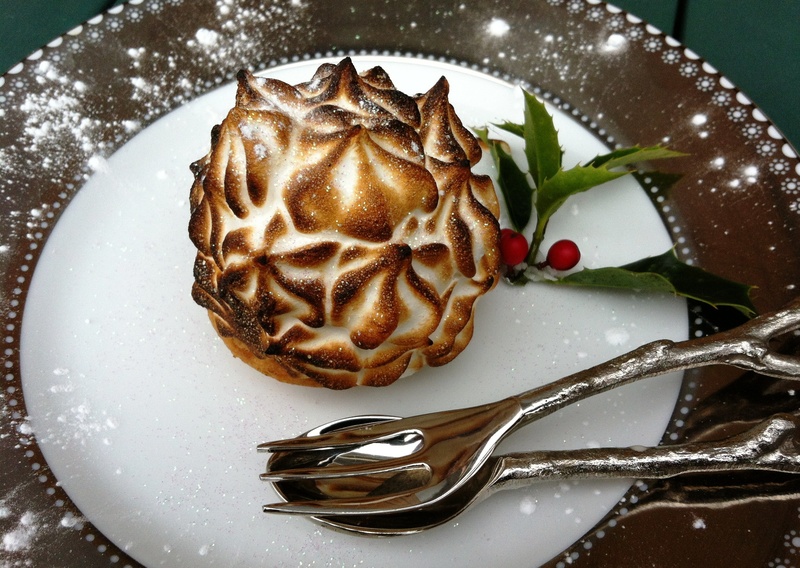 i’ve always wanted to try baked alaska AND mince pies!!! Miss South – I used my leftover pastry to make some chocolate orange tartlets – they were yummy and almost as festive (chocolate orange always makes me think of Christmas). 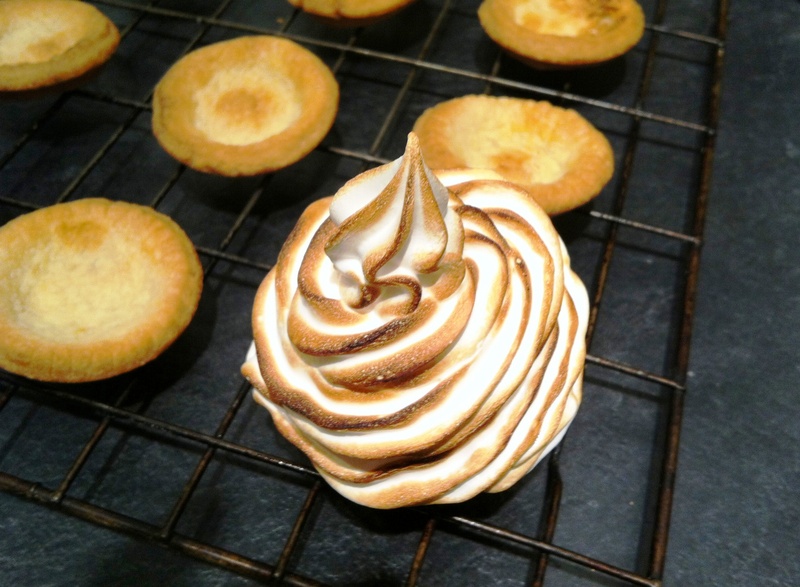 Hope you’re planning lots more meringue now you’ve mastered the art! 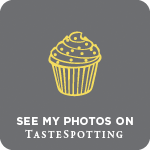 Working London Mummy – there are so many awesome blog recipes out there at the moment, but not enough time to make them all! Frugal Feeding – thank you. And yes, do it! Homemade ice cream with homemade mincemeat is great – crumbling in a bit of pie crust adds a lovely texture too. 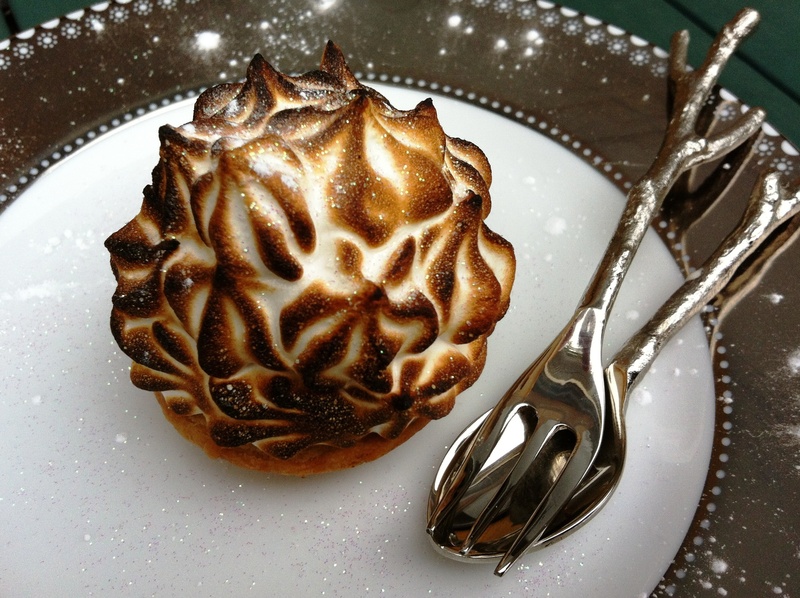 Baking Addict – I’ve had baked alaska before but never with a pastry base. It works really well with the ice cream – would definitely do again with different flavours. I don’t really like traditional mince pies that much but these look amazing! I love the idea of clementine pastry too. They look really really special – I love them! Aren’t you clever? Oh boy, I want. No, I really *really* want to try these out… they look gorgeous and the combination of different flavours and textures sounds heaven-sent. Thank to you both for providing such amazing pre-Christmas temptations. Yum! Sounds divine – I will certainly be stealing the clementine pastry for sure – so Christmassy! We always had baked alaska at Christmas time when I was young but I only ever make it myself during the summer – I must change that this year. Absolute deliciousness! Just look at how stunning your desserts look. Thanks so much for sharing. I love that I found your blog. Re my cherry cake, do you have preserved Morello Cherries for sale in the UK? For they will work beautifully. Frozen cherries should do as well. Season’s Eatings! YUM!! I have no idea where to even find mincemeat ice cream but would probably stir homemade mince (nuts and dried fruit soaked in booze really, we’ll call it mince) through vanilla ice cream! Definitely bookmarking this pastry as well. Thanks for linking up with the blog hop – great to have you on board! These look amazing. 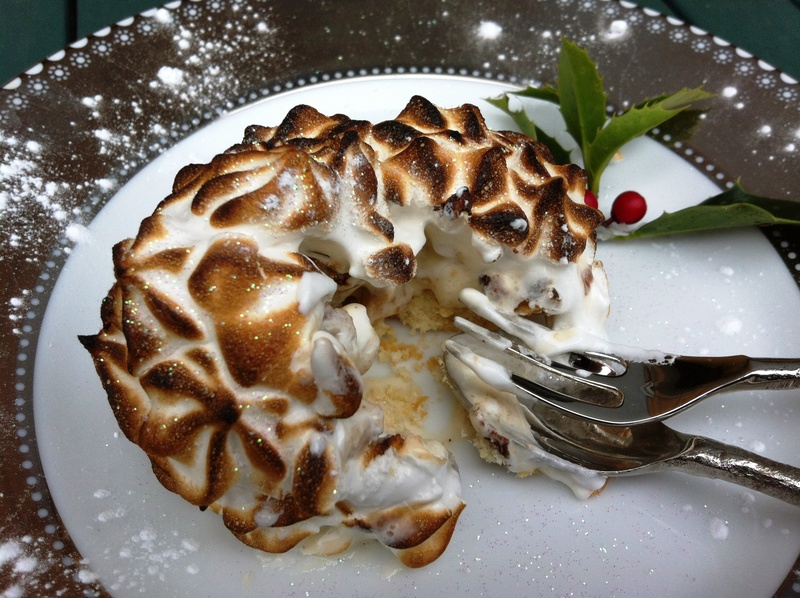 And Mince Pies can be so rich, so the baked Alaska topping is unique, creative and lovely! Thanks for sharing! The Caked Crusader – thanks! Kathryn – the clementine pastry is yummy and so christmassy. I’m not a huge fan of normal mince pies either, but this is just the right balance of fruit to ice cream, pastry and meringue. Joanna – aw you’re too kind! Orange in pastry is gorgeous – I’ve not yet made anything from @wotchers blog but think I need to remedy that! Lizzy – thanks, and thank you for the cherry tip. I can definitely get hold of some of them! JJ – that would work absolutely perfectly. A little alcohol in ice cream is always lovely as it makes it extra soft and scoopable. Jennifer – thanks and yep, these are definitely a little lighter than your average mince pie. These look absolutely divine! And so Christmassy! I can’t imagine making one of these! Hats off to you! Yum! I’ve seen Jamie’s recipe for this but never tried it! Yours actually looks much more appetizing than his did! We do vary our Christmas menu but stick to the same theme! There are so many differente nationalities and cultures in our family nowadays that things have changed over the years. But usually the mother’s tradition sticks, so we have always celebrated pretty much the German way. We open presents on Christmas Eve, we hve Christmas plates under the tree, we do Saint Nicholas etc. Food has varied somewhat over the years, but I would say we do not experiment much in those days. Dessert, I agree, is the perfect thing course to play around with. What a great idea! Those must be divine. Bambi – thank you. Honestly they’re not that tricky, you just need a good piping bag and a blow torch! Nuts About Food – I love the sound of all your Christmas traditions, and am intrigued by the idea of plates under the tree! Rosa May – thank you. In Germany each member of the family gets a Christmas plate, which can include Lebkuchen, clementines, marzipan and assorted nuts (in their shells) or anything else you may like. Or at least that is how my mom always did it for us. What a fantastic idea – I love it! They look so pretty, too. How could anyone resist? Wow!!! What a fantastic idea!!!! I love the different layers of flavours this has, and especially love the sound of the clementine pastry. Yum!! Christina – thank you 🙂 The pastry/ice cream/meringue combo is pretty moreish. Christine – thanks for the link. Thanks so much for joining the hop 😀 I love these pies – Im not normally a fan of mince pies but I’s make an exeption for these babies! You know, you’re so right! People stick to what they know and that’s exactly what my family does…much to my objections most of the time 😉 This year, we’re having the traditional turkey dinner with all the same exact fixings we had last year. And since I’m in charge of appetizers, I tend to bring the one thing that’s different!